Multivan, Sportline (T26, T28, T30 and T32) van. They do not fit any other vehicle - These are specially designed for the VW Transporter only. These are ORIGINAL VW DEALER EQUIPMENT IN VARIOUS COUNTRIES. mounting points on the roof. These are a NON DRILL product. Our Roof Rail Sets are tough Aluminium with Anodised OEM Finish. grade Dealer Fit Quality at Trade Price. 1) What material are these constructed from? They are made from aluminium with a protective anodized finish. 2) Are they hard to fit? How long does it take? They are easy to fit. There is no need to drill any holes in the vehicle as they fit in to existing holes. They will take usually between 15 mins to half an hour to fit. 3) Which VW T5 model do these fit? but it must be the Long wheel base version. For the Short wheel base roof rails click here. 4) Will they fir the VW T6 version? No. 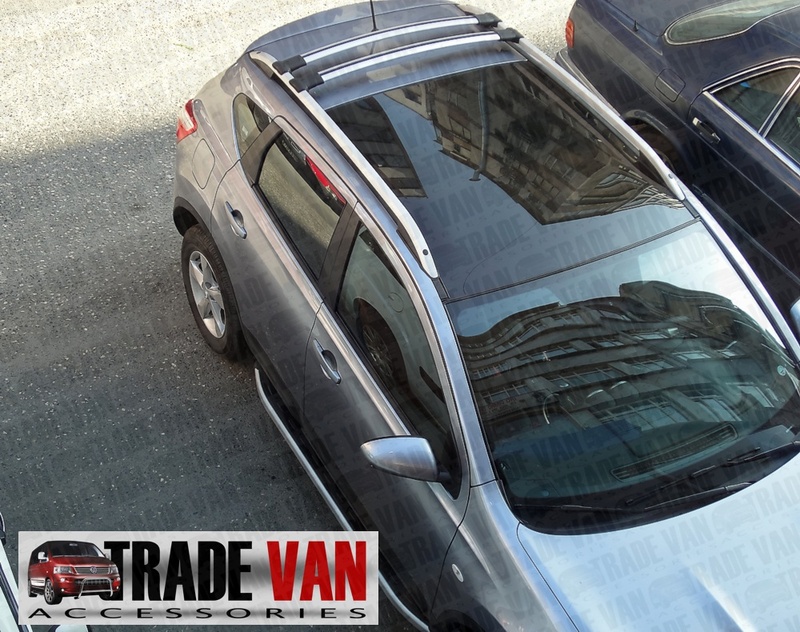 Click here for the roof rails for the VW T6. 5) Do they come with the cross bars? No. They are sold separately here. The bars arrived safely,and they were so easy to fit.they enhanced the look of my t5 as soon as they where fitted..I will come back to you for side steps in the future..product was as described.thank you.. They are my favourite accessories shop, the real deal, my van looks amazing with this new addition. Click the button below to add the VW T5 Roof Rail Set TX3 Sahara for Transporter LWB to your wish list.